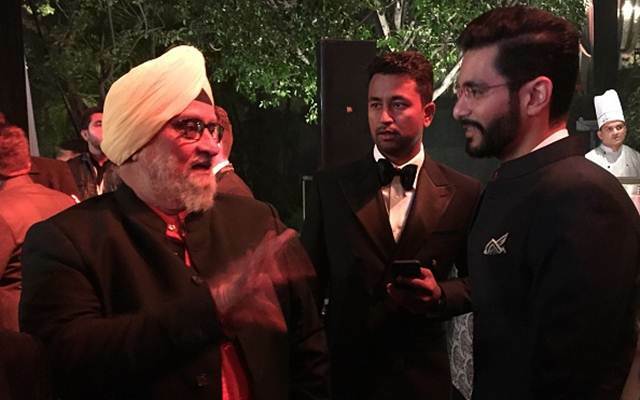 Angad Bedi, son of the former Indian cricketer Bishan Singh Bedi seems to hit the headlines once again after he decided to make a film on his father’s journey. However, Bedi Jr came into limelight because of his comments on former Indian Captain, Mahendra Singh Dhoni. Angad is presently working on a web series named ‘Inside Edge’ which is a story of Mumbai Mavericks, a T20 cricket franchise playing in Powerplay League. The series is divided into a total of ten episodes and is expected to be a cracker one. “Dhoni’s head was very clear. And it showed in his leadership qualities even when he captained India with grace and dignity. I wanted to bring that grace and dignity in Arvind, my character in the show,” he added. Inside Edge is set in a landscape of conflict interests, where selfishness is almost a virtue, where individual keep no box unturned. It’s a story which helps cricket fans witness ‘game behind the game’. Angad plays the role of the captain of a cricket team that goes through a lot of turmoil. To get into the character fully and understand these situations more precisely, Angad Bedi followed the grounds of ‘Sushant Singh Rajput’ and watched as many videos of M.S Dhoni on YouTube.